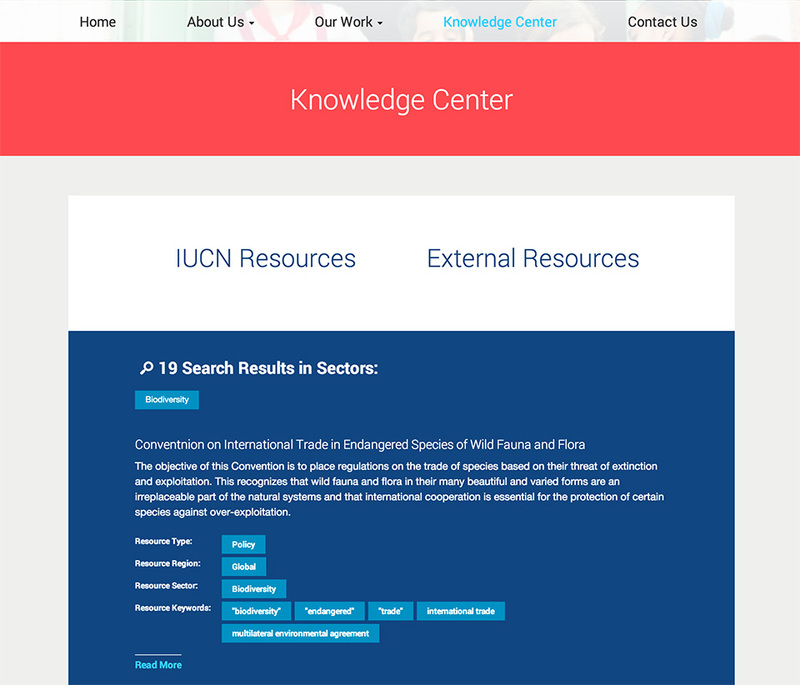 The IUCN –International Union for Conservation of Nature—is an intergovernmental organization comprised of more than 200 government and more than 900 non-government organizations. 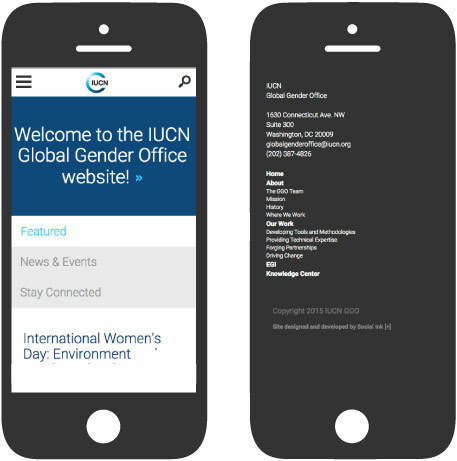 The Global Gender Office (GGO) provides innovative approaches, technical support, policy development and capacity building to the IUCN, ensuring gender equality is central to sustainable global environmental solutions. 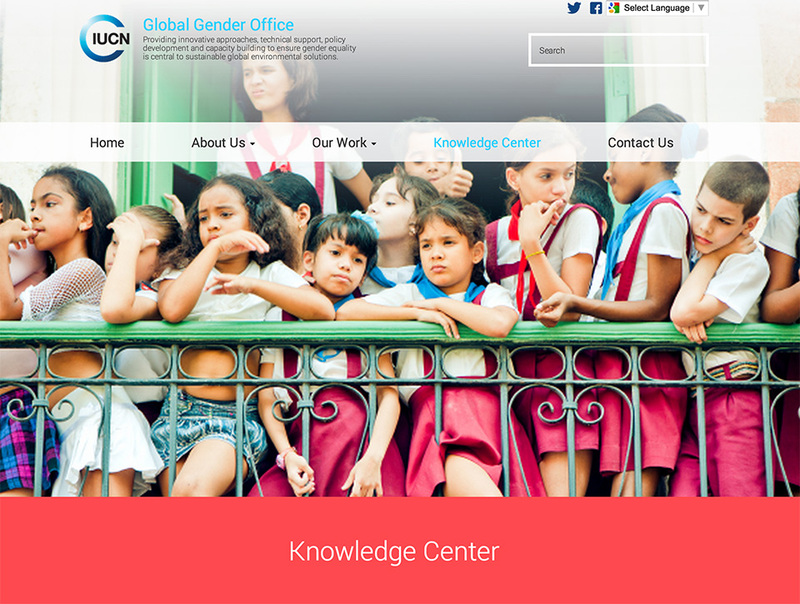 Continuing our work building websites for nonprofits, Social Ink worked alongside key stakeholders at the Global Gender Office to overhaul their old, static site into a dynamic, CMS-powered resource center for initiatives, outreach and resources. 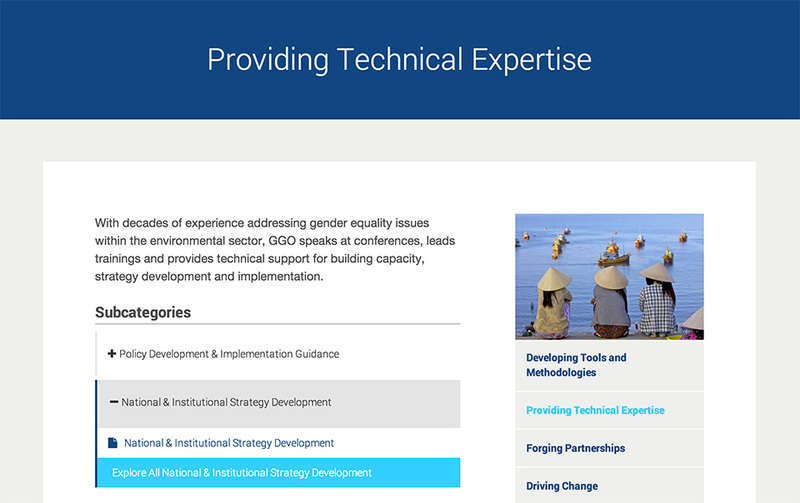 Our flexible process brought together stakeholders from sites scattered across the globe, standardizing metadata for various content types and integrating it with a new Knowledge Center–an advanced interface for resources and research, and a range of other content types. 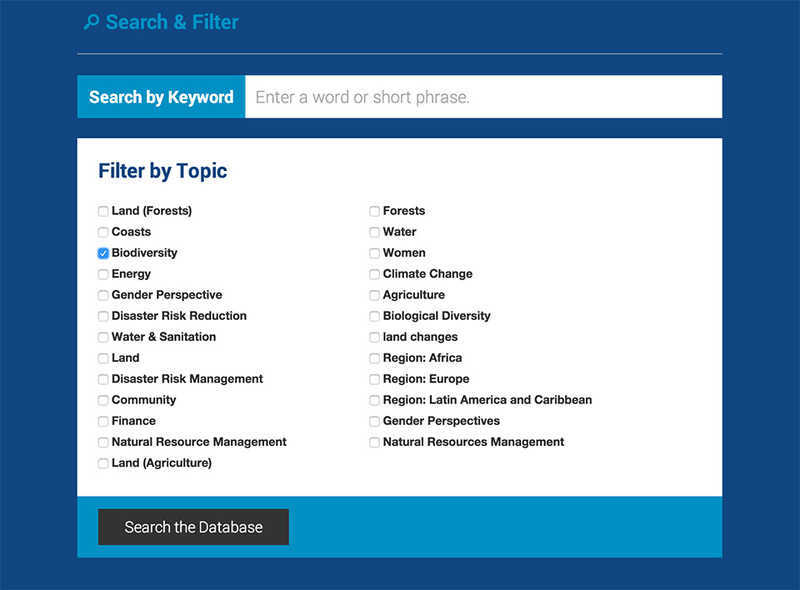 Additionally, the new site features an interactive and filterable map, pulling from the live website database of resources, allowing staff to post a single resource and have it populate the map — and various other sections of the site all at once. 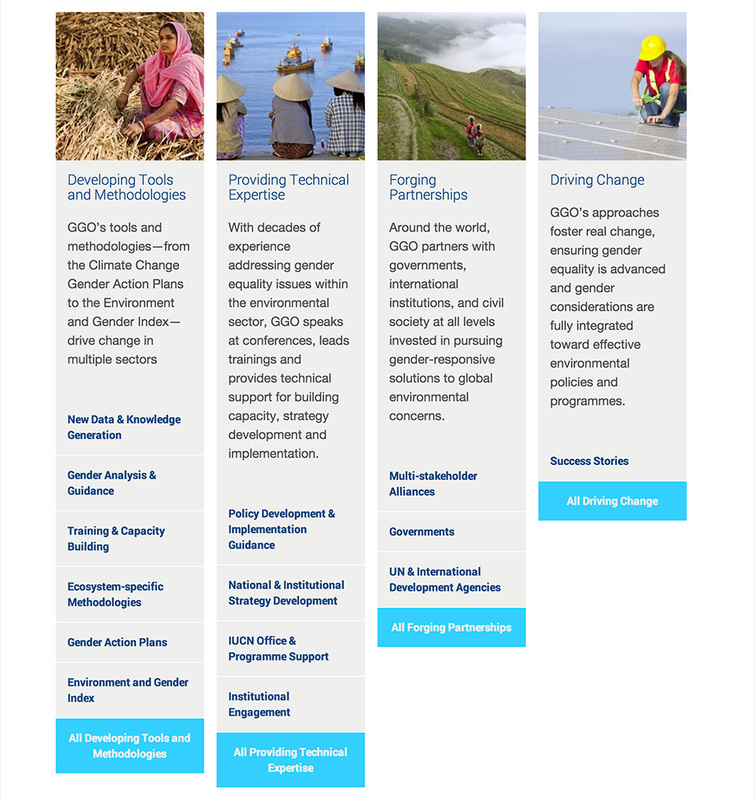 Other key features of the project include immersive high resolution photography, information architecture consulting to organize and optimize a wealth of work and knowledge resources, automated translation via Google Translate, a private, members-only discussion forum, and email newsletter integration.